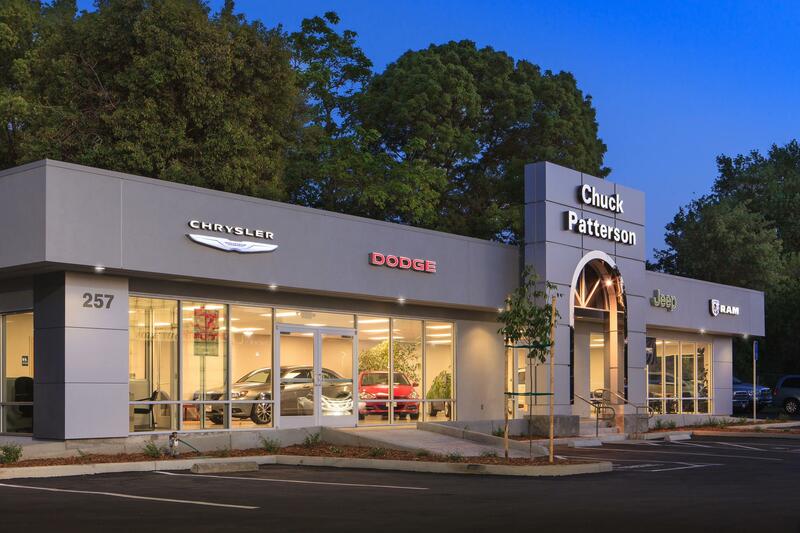 CHUCK PATTERSON Dodge Chrysler Jeep Ram, has been serving Chico and surrounding communities since 1967. We are proud to be one of the most established and best-known family dealerships. From the moment you walk into our showroom you&apos;ll experience and understand our commitment to you and your transportation needs. Family owned and operated, we are dedicated to making your total experience a positive and rewarding one, where YOU, our customer, always come first! Whether you need to Purchase, Finance, Service, Repair, or Accessorize your New or Pre-Owned Vehicle, you&apos;ll know you&apos;ve come to the right place! Relax in our beautiful, new, state of the art showroom, with a comfortable lounge that offers Wi-Fi access. Come experience the Future TODAY! Se Hablo Espan~ol!